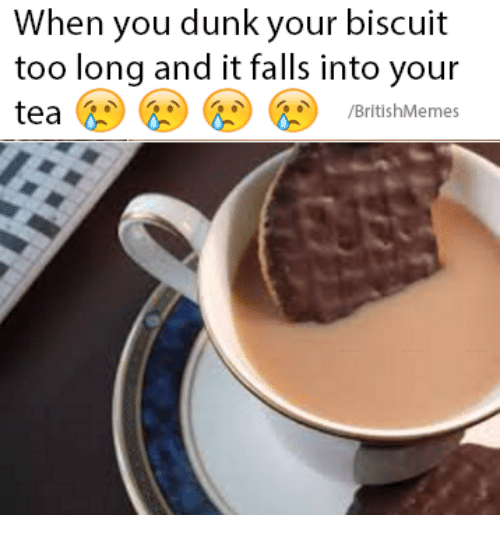 As a brit, there is nothing I love more than telling people how much I love tea. It’s the best, better than water, better than life even. But regardless of its reputation as the nations favourite drink, purchases of tea have declined, and so too the ambition to drink it as well. Tea is a second citizen when it comes to cafe’s and hot drinks machines. 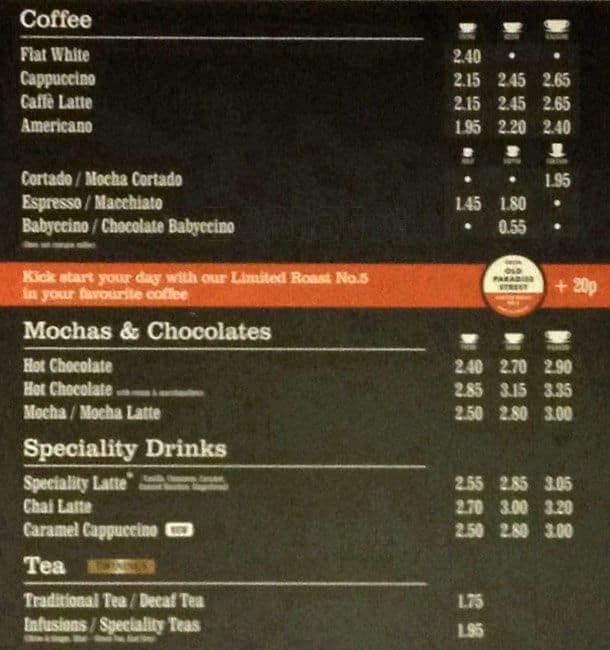 Seriously, tea is supposed to be the UK’s number one drink, and yet I have never seen a Costa Express machine serve the bloody stuff. Full credit to Lavazza though. Tea every time. 2. When you do find a place that serves tea, it’s often… questionable. Don’t even get me started on Starbucks. Who deems it acceptable to only serve flavoured teas, or really posh crappy ones. I wanna see a Yorkshire tea bag, a PG Tips, or a Tetley. Then I’m happy. Secondly, Tea should not be served with half a gallon of milk (I’m talking to you Costa). Why can’t we just pour our own milk into our own tea and have done with it. I think I’ll stick to Gregg’s, they’ve got it right. 3. Even in our homes, battles have been fought about the proper brew. I can drink almost any tea someone gives me, but I will NOT drink a tea with the milk poured in first. Just wrong. 4. Someone always wants to dunk their biscuits in your tea. 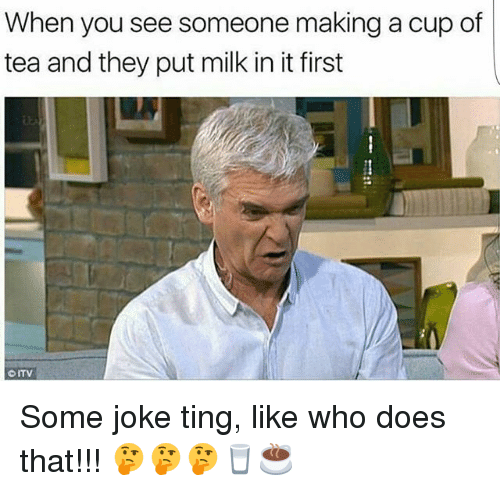 Either make a cup or p**s off because I made my tea for me, and not a home for your soggy biscuits crumbs at the bottom of my mug. 4. But unlike coffee, tea doesn’t need any enhancing apart from sugar. Shots of tea… okay but why such small measures? Tea is perfect the way it is- providing it’s served properly.